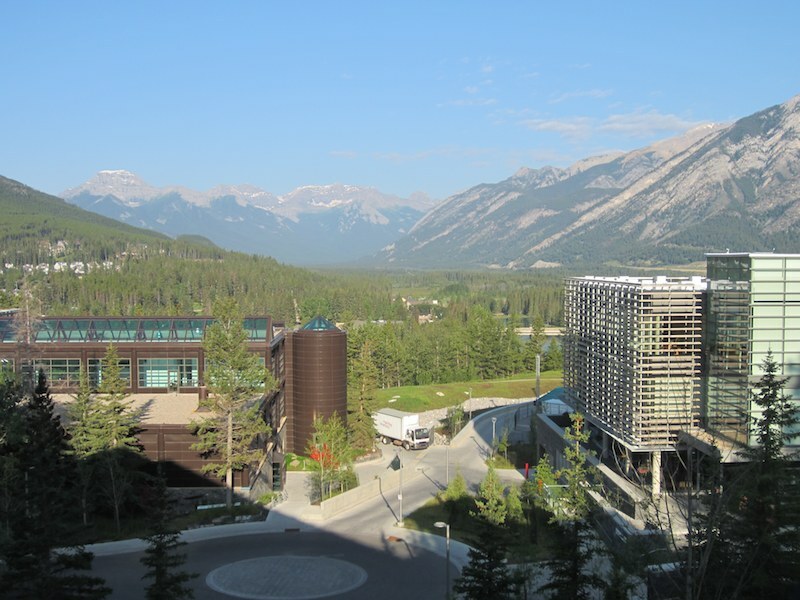 The colleagues from SRI International, the organisation behind the Advanced Modular Incoherent Scatter Radar (AMISR), brought an example of the smallest unit with them to Banff, Canada, to show it to the participants of the ISR Summer School. The photo on the left shows an Antenna Element Unit, or AEU. The AEU is a little radar in itself, since it is both a transmitter and receiver. Breaking a high-power radar such as an incoherent scatter radar into many, many small units like this has the advantage that every unit runs at relatively low power, which is easier to construct. A typical AMISR deployment, like PFISR at Poker Flat or the RISRs at Resolute Bay, have 4096 AEUs. These are arranged in smaller units such that 32 AEUs make up a panel, 8 panels make up a group, and finally 16 groups are called a face, which is a complete deployment. However, depending on purpose and funding, the radars can be made much larger (i.e. more power and resolution) and/or panels can be arranged in a different way in order to achieve a specific spatial resolution pattern. Tomorrow, the ISR Summer School will go on an excursion in order to get out of the conference centre for a while, and the blog will be updated only afterwards. Part of the exercise for the participants of the ISR Summer School here in Banff, Canada, was to study a set of incoherent scatter radar data plots, which were distributed without caption. The idea was to become familiar with how to read these data, and how to see what phenomena they contain. Often this is not easy, and sometimes a lively discussion began between the instructors, one of these moments in captured in the photo above. Thereafter yesterday's Madrigal exercises were discussed, and Bill Rideout, who is the main developer of Madrigal, expressed his gratitude to have 37 eager testers for the new Madrigal release, since a few small problems have been identified, which often become apparent only once a software tool is taken into proper use. Today the school continues with lectures by Elizabeth Kendall, Anthea Coster, Josh Semeter, Phil Erickson, Anja Strømme, and Craig Heinselman. In the afternoon, there's more group work on the schedule, and now it's getting serious: by a strict deadline at 18:15 h, all groups have to submit a proposal for a radar experiment, which will be run overnight. The data from these experiments will be used for group work during the rest of the week, which culminates in the group presentations on Saturday. Thus there's a lot of exiting stuff ahead during this week. 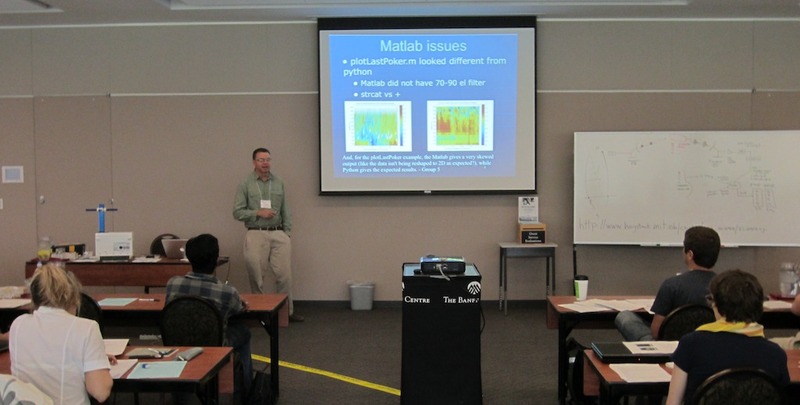 The first day of the ISR Summer School in Banff, Canada, is drawing to a close. After an initial set of lectures given by Elizabeth Kendall, Anthea Coster, Anja Strømme, and Bill Rideout, all students have split into seven groups to think about their first exercise. Bill Rideout presented a lecture on how to use the Madrigal database, which is a distributed system hosting incoherent scatter radar data, and thus the first task is about learning how to use Madrigal, which also contains EISCAT radar data. 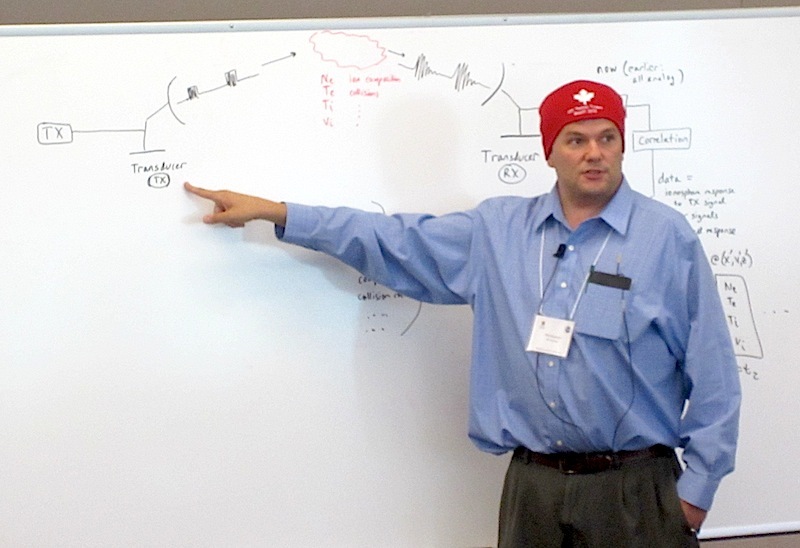 Also Phil Erickson presented a brief impromptu overview of the flow of signals within a radar system during which he also tested the souvenir given to all participants: the bright-red ISR Tinfoil Toque. For your convenience, the whiteboard drawing is reproduced here, including the link to all AMISR radar schools. Also the lectures of the current school will be available for download at that site. Just in time for the barbecue, which is planned for tonight, the weather seems to have decided that it's enough with boring sunshine, and it seems to be getting slightly more interesting while I am typing this. Click on the photos to get better resolution versions. This morning, the Incoherent Scatter Radar (ISR) Summer School, organised by the University of Calgary and sponsored by the National Science Foundation (NSF) began in Banff, Canada. The school, which has attracted a record 37 students from all over the world, takes place in stunning scenery and everyone's enjoying fantastic summer weather. The photo shows the conference centre on the right, in which the school takes place. It is taken from the balcony of the restaurant, in which breakfast was served this morning. By the way, if you are interested in learning the technique of incoherent scatter radars, there's another radar school this year, which still has some places left, the EISCAT Radar School. 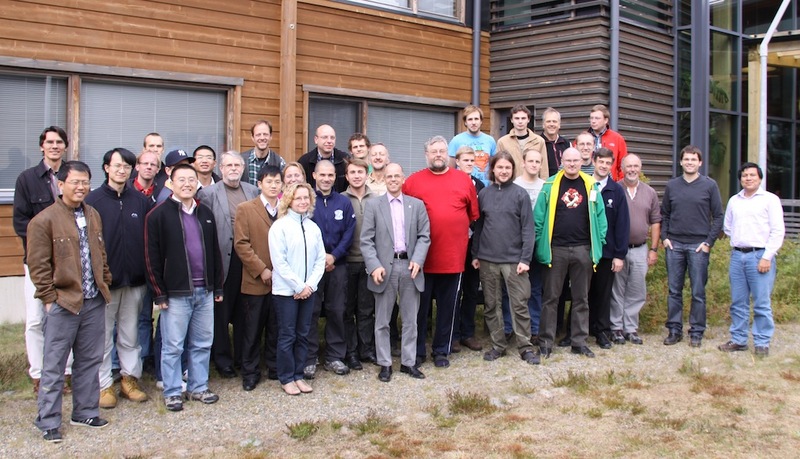 The project will investigate the Aurora and auroral phenomena, focusing on plasma irregularities in the ionospheric E region using radio techniques, particularly with coherent High Frequency radars in Antarctica within the Super Dual Auroral Radar Network (SuperDARN). The Space Physics Group at the Department of Physics and Geophysical Institute, University of Alaska Fairbanks (UAF) has a funded PhD position available. This position is available immediately and it will remain open until it is filled. The student's research will be undertaken under the supervision of Dr Roman Makarevich. Information on the Department of Physics at UAF can be found on its webpage: http://www.uaf.edu/physics/. 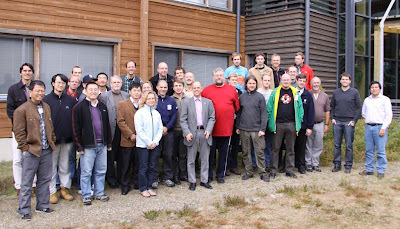 Information about the Space Physics Group and Geophysical Institute at UAF can be found here: http://www.gi.alaska.edu/research/spacephysics/. Information about the Aurora and auroral activity in Alaska can be found here http://www.gi.alaska.edu/AuroraForecast. Information about the SuperDARN project can be found here: http://superdarn.jhuapl.edu/ or http://vt.superdarn.org. QUALIFICATIONS: Candidates should have received a master's degree in physics, or equivalent, at the start of the PhD project. A candidate is sought with good background in space physics and with experience in geophysical data analysis. The ideal candidate would be proficient in IDL, Fortran or Matlab and also have experience in ionospheric physics and radar data analysis. APPROVAL and ENROLLMENT: The study will be under the University of Alaska Fairbanks PhD Space Physics program, and the admittance to this program is subject to academic approval. For information about the requirements for enrollment and the general planning of PhD study at the University of Alaska Fairbanks, see http://www.uaf.edu/physics/graduate-programs/. FUNDING and SCHOLARSHIP: The successful PhD student will be awarded a Research Assistantship and a stipend covering 3 years of PhD study. The PhD candidate will be also given an opportunity for a Teaching Assistantship for 1 year. APPLICATION PROCESS: Candidates should initially contact Dr. Roman Makarevich to express interest and apply for the position. The student who is selected for the position will then go through the normal enrolment process for PhD study at UAF. Applicants will need full CV and academic transcript demonstrating that their existing record meets the requirements of the PhD program and this research project. If English is not your native language, results of a standard English test are also required. FURTHER INFORMATION on the project: Dr Roman Makarevich, r.makarevich at gi.alaska.edu, http://www2.gi.alaska.edu/~romanmak/. 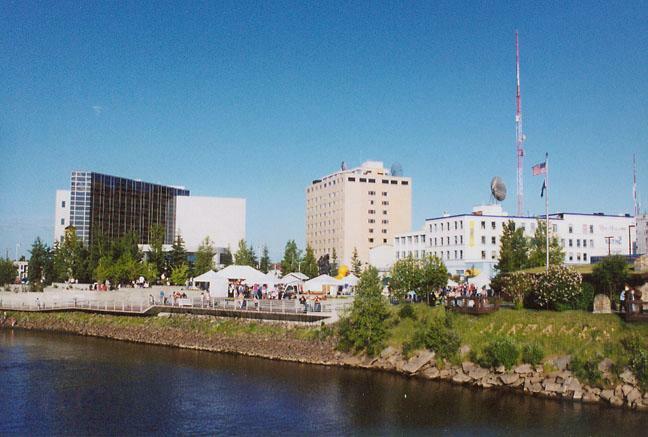 Text R. Makarevich, photo of Fairbanks from Wikimedia Commons (source). extended to 7th August 2012! Please register now via http://www.sgo.fi/Events/RS2012/. The deadline for registration in the course is 7th August, 2012. The EISCAT Council has appointed a new Director to take over from Dr Esa Turunen when he leaves at the end of the year. 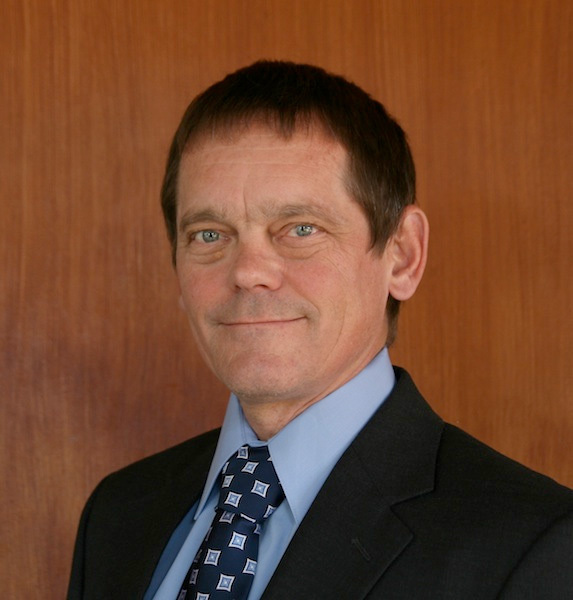 Dr Craig Heinselman will join EISCAT on 1st January 2013 as the new Director of the EISCAT Scientific Association. Dr Heinselman is today working at SRI International, Stanford, USA, as Principal investigator and project leader for the Advanced Modular Incoherent Scatter Radar (AMISR) Operation and Maintenance. He will have his office at the EISCAT Headquarters in Kiruna, Sweden, where he will also live. See also: Dr Heinselman's Curriculum Vitae (pdf). At Mysore, India, the 39th 39th Scientific Assembly of the Committee on Space Research (COSPAR) has begun. The meeting will take place during the present week from 14th to 22nd July 2012. Today, Tuesday, 17th July, there will be a whole-day session on "New generation middle and upper atmosphere radars: application and development" (Session C0.3). This is a cross-disciplinary session aimed to foster discussion among scientists using the same tool for observation, which should lead to transfer of useful methods between different radar applications. Welcome to join this session today at COSPAR 2012! Photo of Mysore Palace from Wikimedia Commons (source). 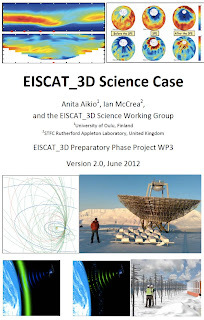 Version 2 (June 2012) of the EISCAT_3D Science Case has been published and is available on the EISCAT_3D project web site from today. 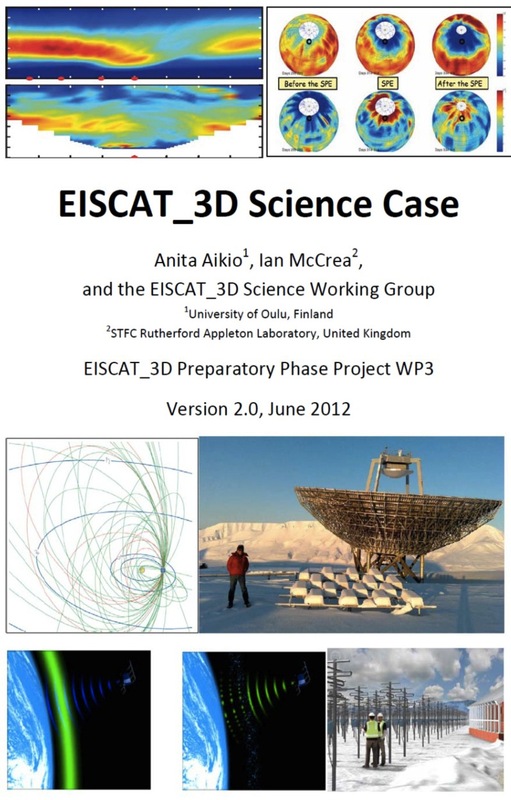 This is the second annual update of the science case and includes contributions from the current members of the Science Working Group (Work Package 3) which, over the past year, has focused on examining the potential uses of EISCAT_3D in the areas of space weather and space debris. Juha Vierinen (Sodankylä Geophysical Observatory, Finland). We would also like to thank a number of other international colleagues who have contributed ideas or material for our discussions, without taking part in the meetings. Particular thanks go to Lucilla Alfonsi and to Stephan Buchert (Uppsala University, Sweden) for hosting the meetings of the working group during the past year. Text: Ian McCrea; image: Cover page of Science Case version 2. A three year Senior Research Associate post is available in Space Plasma Environment and Radio Science (SPEARS) group, Physics Department, Lancaster University. This vacancy is associated with a programme of research aiming to address energy and momentum coupling between the Earth's magnetic field and the solar wind which leads to the precipitation of charged particles into the upper atmosphere and generates odd nitrogen (NOx), influencing the chemistry and dynamics of the atmosphere. This is an important mechanism by which solar activity can influence the atmosphere beyond atmospheric waves and solar irradiance. The post is funded by NERC as part of the joint research programme between Lancaster University and British Antarctic Survey. The research will involve characterising electron precipitation by exploiting measurements from two existing global arrays: riometer measurements of cosmic radio noise absorption (CNA) and changes of the sub-ionospheric propagation of very low frequency (VLF) radio waves. Applicants should have a PhD in Physics and a demonstrated strength in the area of Solar-Terrestrial Physics. Lancaster University Physics Department is strongly committed to fostering diversity within its community as a source of excellence, cultural enrichment, and social strength. We welcome those who would contribute to the further diversification of our department. Closing Date: Sunday, 22 July 2012. Further information and online application can be found at http://hr-jobs.lancs.ac.uk/Vacancy.aspx?ref=A454. Specific enquiries may be directed to Prof. Farideh Honary, f -dot- honary -at- lancaster -dot- ac -dot- uk. Text: Farideh Honary. Photo: Wikimedia Commons (source). In an earlier blog post, we announced the International AGU Chapman Conference on "Longitude and Hemispheric Dependence of Space Weather," which will be held in Addis Ababa, Ethiopia, 12th to 16th November 2012. Expand the study of space weather to include day-to-day ionospheric variability, i.e., to those times when solar and geomagnetic activities are moderate and forcing from the lower atmosphere drives a lot of the variability. Deadline for abstracts: 12th July 2012. For more information, please refer to the conference web site, which is now on-line. Text: Tim Fuller-Rowell. Photo: Wikimedia Commons (source). The International School of Space Science of the Consorzio Interuniversitario per la Fisica Spaziale organises a course on "Astrophysical and Space Plasmas", to be held in L'Aquila, Italy, 2nd to 8th September 2012, and directed by A. Ferrari, M. Tavani, B. Coppi and R. Rosner. The aim of the course is to present a comprehensive discussion of the plasma processes relevant to the astrophsyical context, from low energy phenomena in planetary systems to the very high energy objects recently discovered through X and gamma ray observatories. Introductory lectures will be dedicated to an analysis of observations available from ground and space observatories enlightening the thermal and non-thermal plasma processes necessary for their interpretation. At the same time the theoretical tools, analytical and numerical, necessary for their interpretation will be presented from an institutional point of view. Finally current models of the astrophysical objects and phenomena will be discussed with particular attention to the critical points with the objective of selecting new research lines. For further information visit http://www.cifs-isss.org/ or send an e-mail to ssc -at- aquila -dot- infn -dot- it. Deadline extended to 10th July 2012. Text: Paola Solini. Photo: Wikimedia Commons (source).